The research is in: Children who write early and often tend to see themselves as “real writers” from that time on. 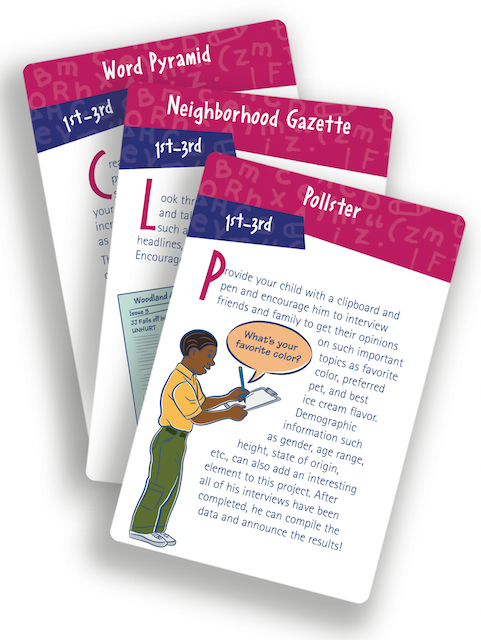 Grab you deck and sort, select, set up, and start your activity in just a few minutes! Helpful illustrations and short, simple instructions make it easy. 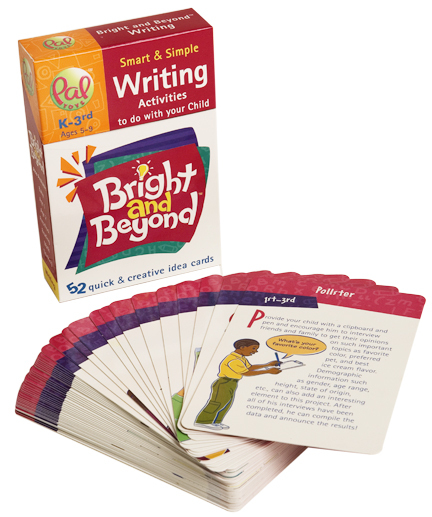 Bright and Beyond activities are printed on a set of 52 tote-able, sturdy, colorful wipe-clean cards that feature a multitude of activities for pre-writers and writers alike. These instant activities will turn children into enthusiastic writers in minutes a day.